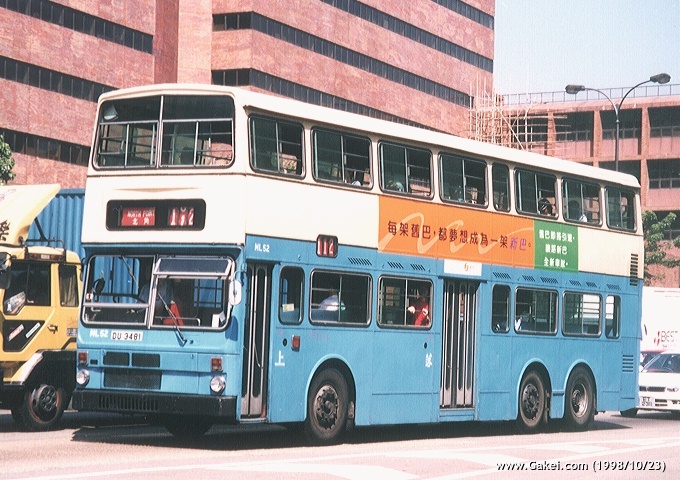 ML2, an ex-China Motor Bus (CMB) demonstrator, is a very special Super Metrobus. 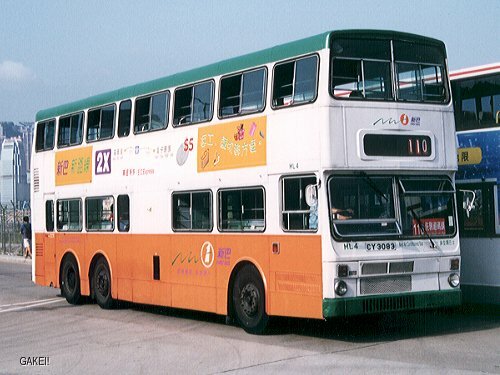 ML2 has 2 exits, which is a unique feature of the bus as compared with other Super Metrobuses ever built. 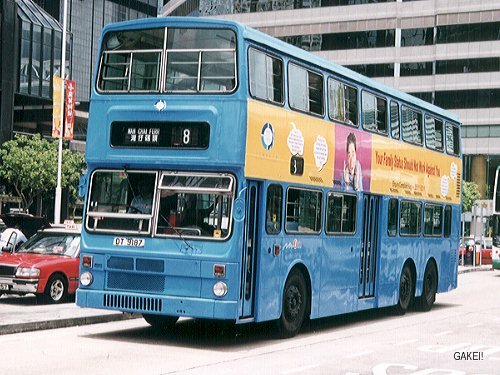 Same as the photo above, this photo shows ML2 wearing the original CMB livery. By showing the nearside, the twin exits can easily be seen. 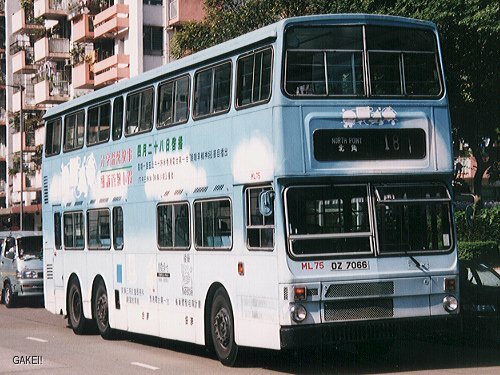 ML2 after repainted with standard NWFB livery. 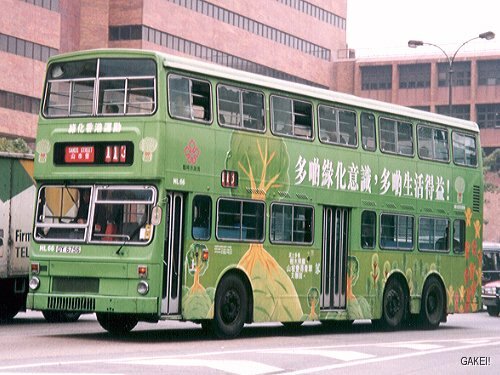 ML3 is the first production type of Super Metrobus, which is seen wearing a government all-over advertisement, "A Clean City Starts with You". ML4 having a new NWFB livery with a panel advertisement promoting the new Route 2X. 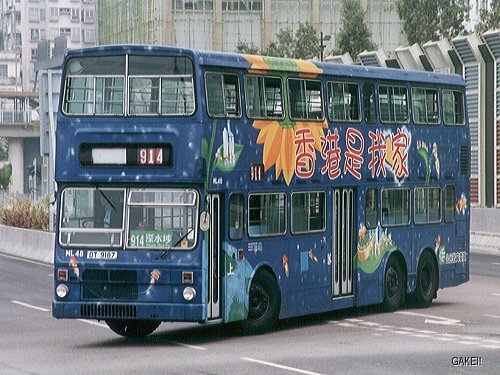 ML12 serving Route 720 with the CMB livery and an NWFB slogan, the Chinese version of "We must stop meeting like this!". 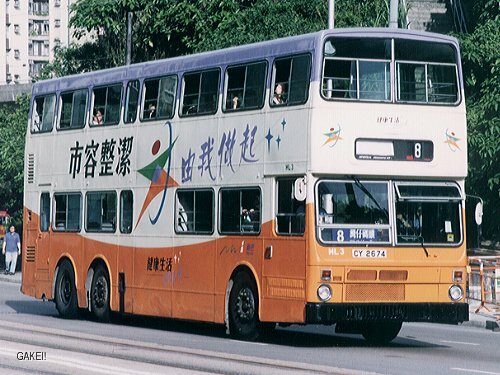 When NWFB received this ML25 from CMB on 1 September 1998, the bus was wearing the all-over advertisement of CMB passenger service hotline. 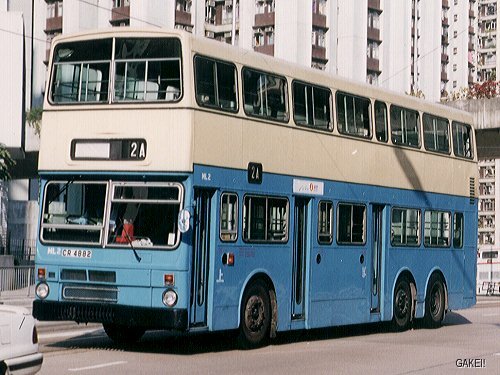 After a few days NWFB re-painted the bus with this standard CMB livery without the black stripes, that usually appeared under the upper-deck windows and the edge between the blue and cream colours. 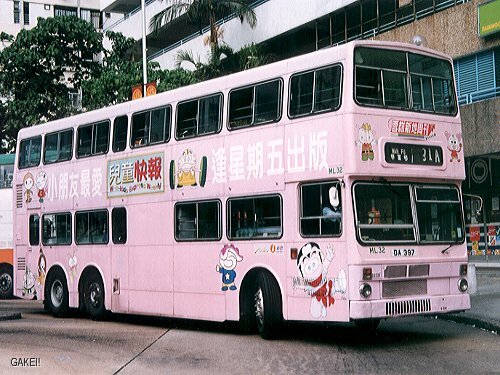 The all-over advertisement, which promoted keeping Hong Kong clean, was brought forward from the CMB era. 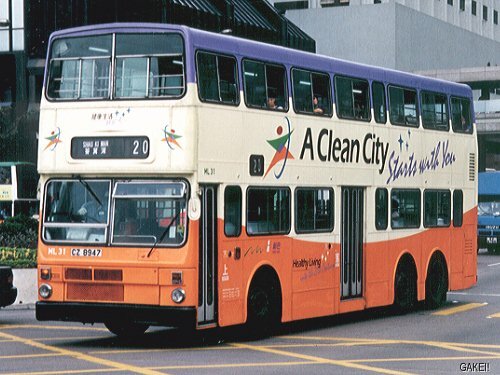 ML31 was another Super Metrobus having the "A Clean City Starts with You" advertisement. 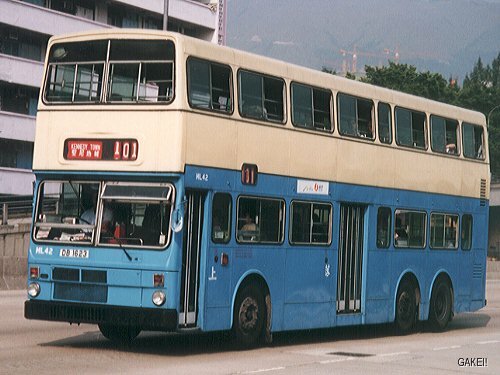 ML32 is seen having a rest at Central (Ferry Piers) Bus Terminus. 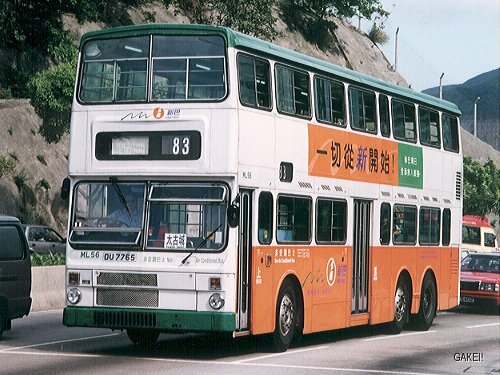 ML32 having another all-over advertisement, being seen on Route 91A at Ap Lei Chau Estate. 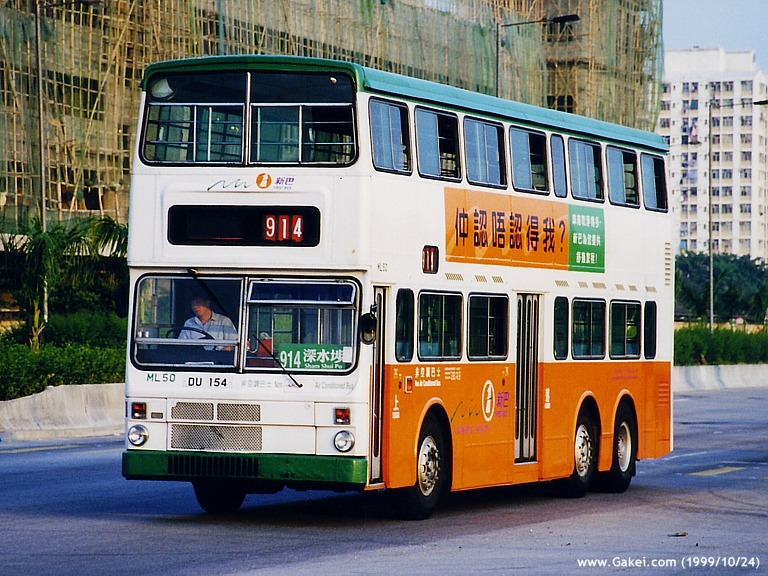 ML33 on Route 104: The bus is seen approaching Cross Harbour Tunnel Toll Plaza. ML40 serving Route 905 on the first few days of service in NWFB. 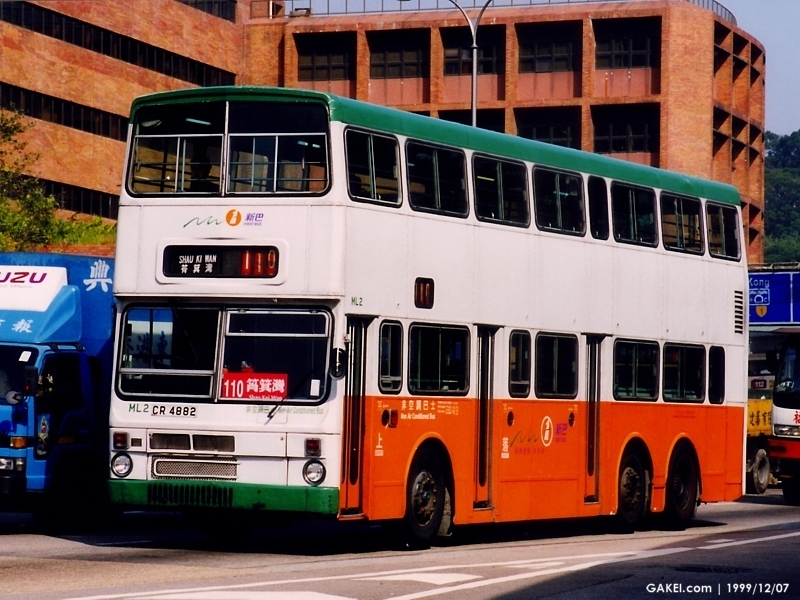 ML42 wearing the CMB livery while serving Route 101. ML42 again, this time the body was repainted with the "Dress Sporty Day 1999" advertisement. 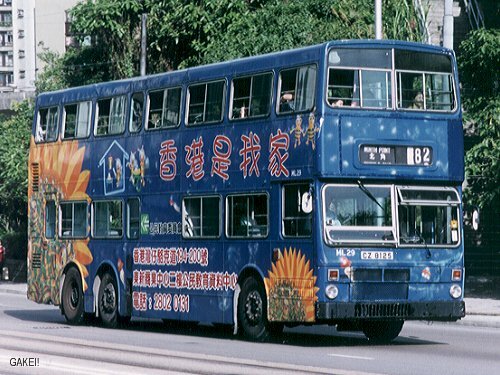 The advertisement of "Kwong On Bank" of ML44 was brought forward from the CMB era and was used until the bus ceased operation. 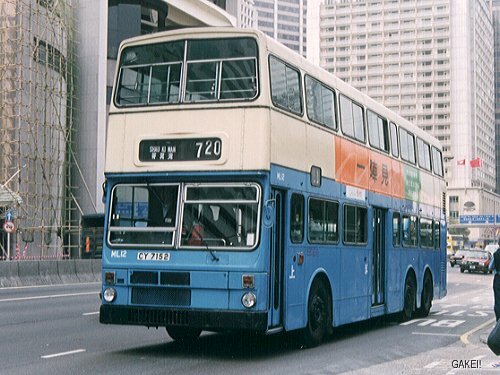 ML47 was repainted with standard NWFB livery. 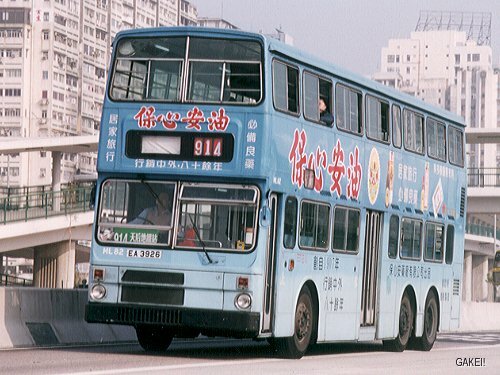 Unlike some other repainted MLs, the wording "Non Air Conditioned Bus" did not appear on the body. 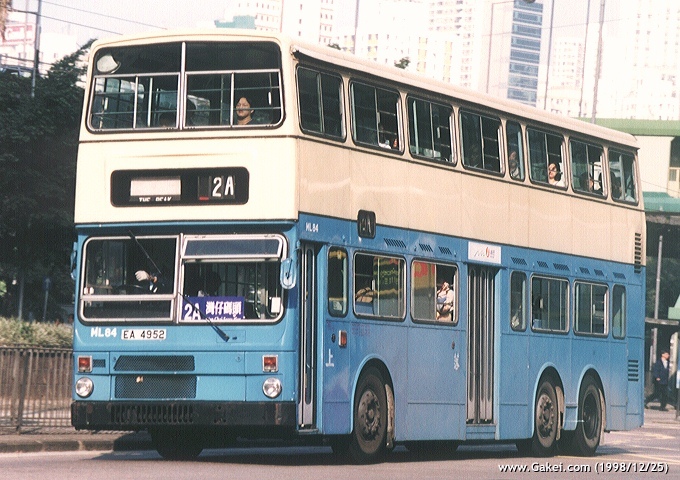 ML48 is seen on the final approach to the former Sham Shui Po Ferry Bus Terminus. 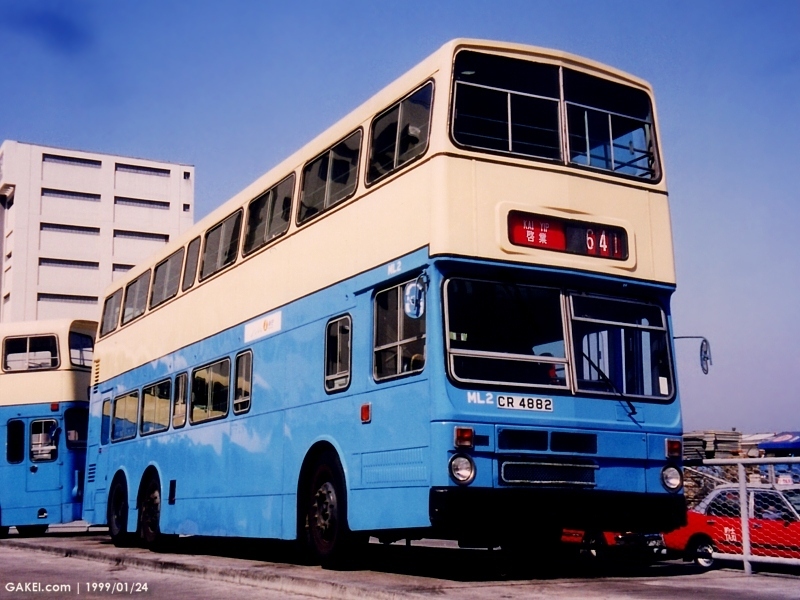 This photo was taken when ML48 was newly repainted with the blue "Equal Opportunities" advertisement without marked the fleet number on the body yet. 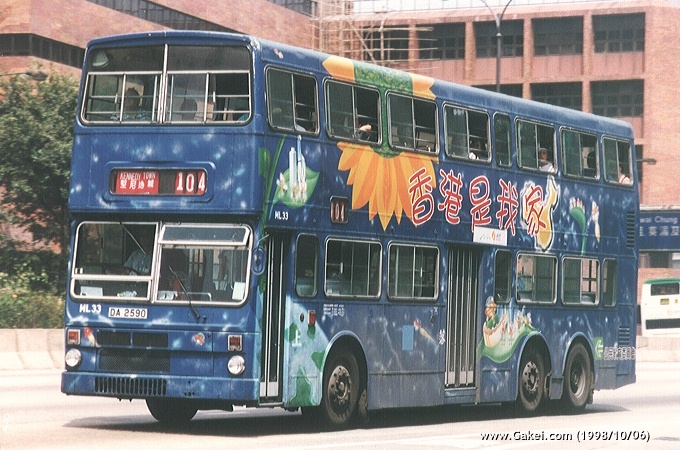 ML50 is seen arriving the new Sham Shui Po (Tonkin Street) Bus Terminus while serving Route 914. 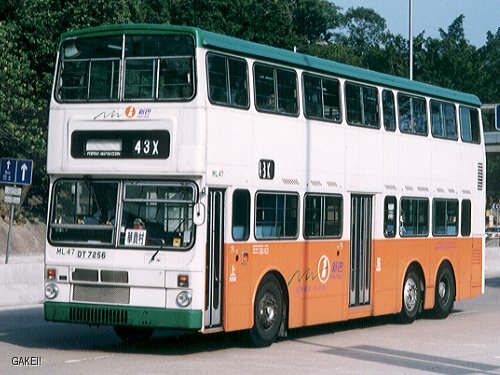 ML52 was one of the "hot-dog"s serving Route 112 before the route was fully air-conditioned. ML56 on Route 83 on the final days of service of the route. 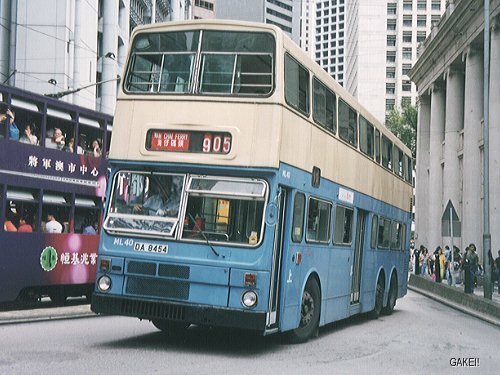 Route 83 last operated on 1 May 2000. 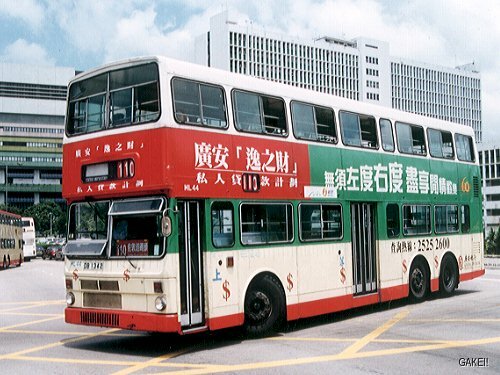 ML57 was painted with an attractive "Medecins Sans Frontieres" advertisement which was a unique one in Hong Kong. 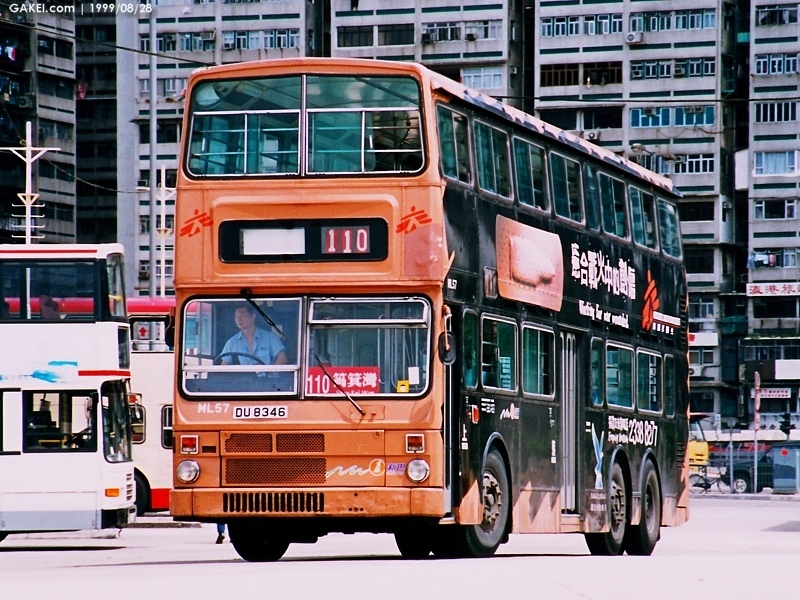 ML61 is seen wearing another version of "Equal Opprtunities" advertisement. 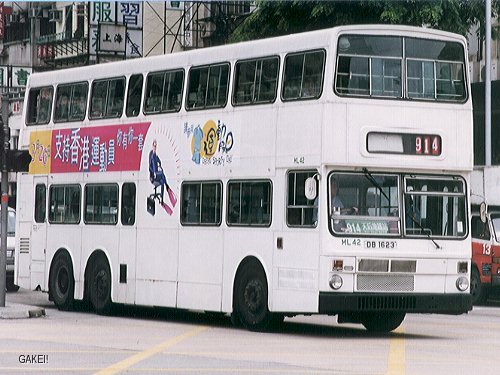 ML64 was painted all white after NWFB erased an all-over advertisement "brought forward" from CMB era. This is an advertisement from Provisional Urban Council, which reminded people to pay more attention to the environment. 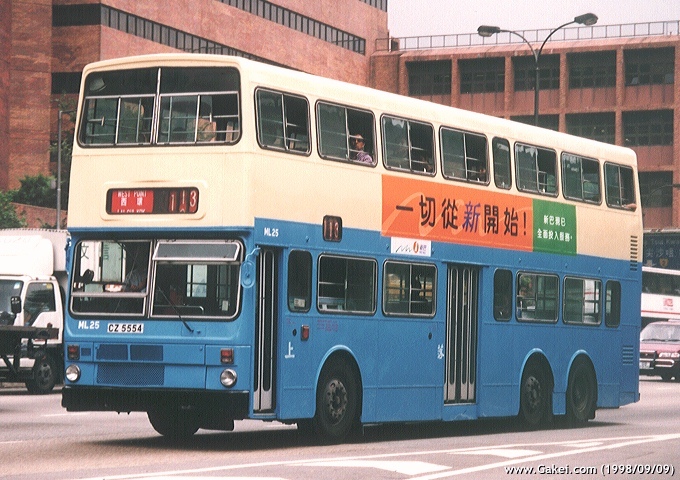 This Route 18 bus is seen nearly reaching the terminus in North Point. 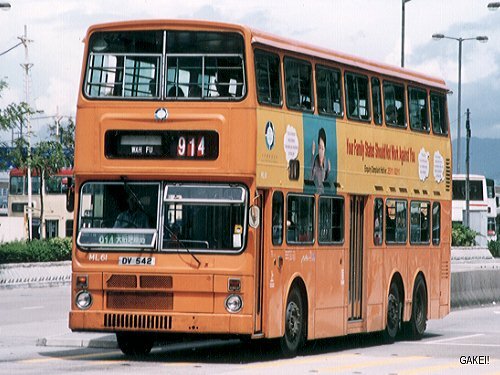 For a period of time, Route 914 was mainly served by MLs. ML84 is the last registered ML. 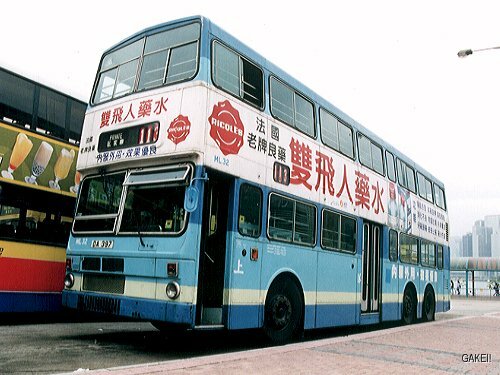 After being withdrawn from service, the bus was shipped to United Kingdom, together with some other MLs. 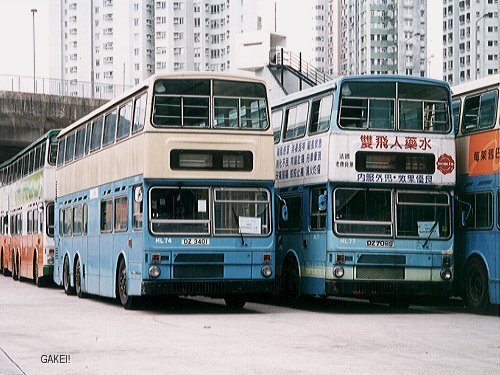 These two MLs were stored in NWFB Shing Tai Road Depot after being withdrawn from service. NWFB's MLs operated until this morning. 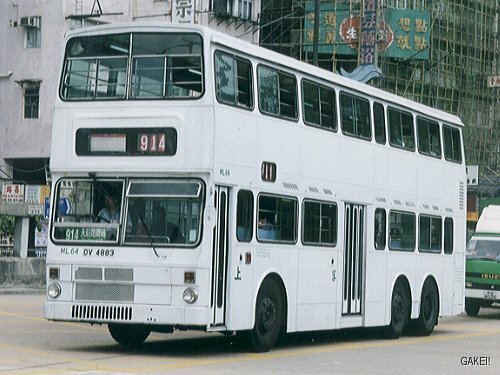 In the afternoon all MLs terminated their services and gathered together here on the parking area beside Wong Chuk Hang Depot, and waiting to be shipped back to United Kingdom later that night. 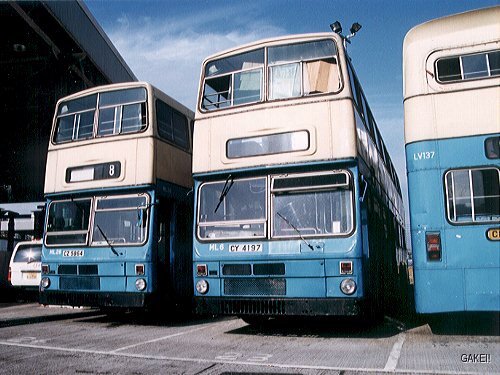 The bus on the left is ex-ML74 and that on the right is ex-ML77.